Miniature, Card, Board, or Roleplaying we have it all at Huzzah Hobbies! Huzzah Hobbies opened in 2010 to provide the Northern Virginia area with a quality gaming venue. We now have two large gaming areas, one with specially designed miniature gaming tables and the other for card and board games. With no charge play and loads of store copy games we have become Northern Virginia’s premier gaming destination. Monthly gaming tournaments, designated gaming nights, demonstration games and leagues are all part of our friendly open store environment. With thousands of games and game accessories in stock we are sure to have your tabletop gaming needs. Huzzah Hobbies offers a wide range of board, card and family games and accessories. We also have a large selection of miniature games as well as a variety of role playing games. There is always something happening, so get in on the fun! Huzzah! Huzzah! Huzzah! The winners of the Aristeia! Tournament. Huzzah Hobbies is at Huzzah Hobbies. We had a great time hosting the Pokemon Unbroken Bonds prerelease today!! Want to join in on the fun? Come in and play Pokemon league! Starting back in May, every Saturday from 10 until 12, come in to learn, trade, play, and make friends with everyone's favorite pocket monsters! New champions of Chaos arise! Out today from Games Workshop, the Dark Apostle with his Dark Disciples, the vengeful Master of Executions, and the previously exclusive Chaos Lord with Thunderhammer, Obsidieus Mallex, are ready to wreck havoc on the forces of the Imperium, and the galaxy. Get them 10% off at Huzzah Hobbies! Love new arrivals! Will you have the new LOTR book? The Fyreslayers return in glorious (and golden) fashion! Out today from Games Workshop, the new Fyreslayers tome introduces updated rules, alongside the new Magic Battleforge terrain piece and the mighty Magmic Invocations! Get them 10% off at Huzzah Hobbies! We have a full house tonight for both Friday Night Magic and for our Games Workshop game night! 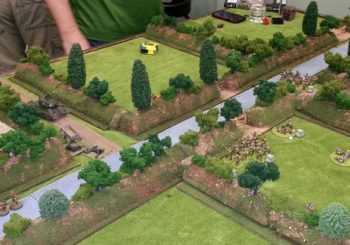 Be sure to join in on the action here every Friday at Huzzah Hobbies! Also as a friendly reminder, we will be closed Easter Sunday, April 21st, so be sure to get your weekend gaming in tomorrow!! !